Over 14 years ago, we decided to gather a few country music legends to laugh, tell stories, and sing all the songs their Parent's made famous. 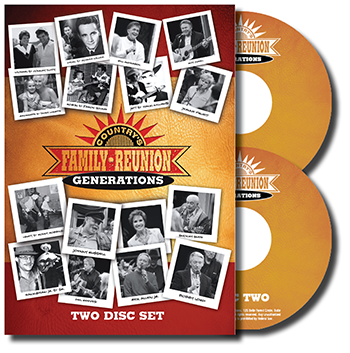 Listen to never before heard stories about growing up as the son or daughter of country icons like Marty Robbins, Conway Twitty, George Jones, Tammy Wynette, Hawkshaw Hawkins, Roger Miller, Faron Young and many more. You'll be amazed at how much several friends of Country's Family Reunion join the party as well.